Ammonia is a nucleophile because it has a lone pair of electrons and a δ⁻ charge on the N atom. A nucleophile is a reactant that provides a pair of electrons to form a new covalent bond. Sound familiar? This is the exact definition of a Lewis base. In other words, nucleophiles are Lewis bases. A nucleophile is either a negative ion or a molecule with a δ⁻ charge somewhere. Ammonia doesn't carry a negative charge. 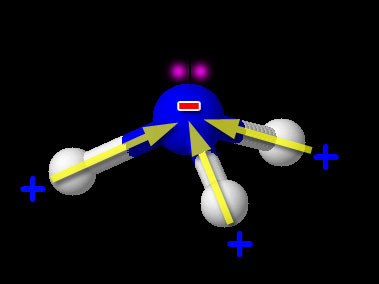 But it has a lone pair of electrons. And nitrogen is more electronegative than hydrogen, so the nitrogen atom has a δ⁻ charge. So NH₃ can act as a nucleophile and attack the δ⁺ C atom of an alkyl halide. Here's a video on ammonia as a nucleophile. Can a a compound with a lone pair of electrons such as #NH_3# be a nucleophile?